Maximize Your Rental Profits. 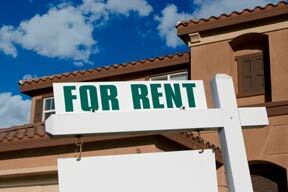 Managing a rental property can be an excellent source of income in today’s economy. A third of the nation’s households rent their residences, according to the 2010 U.S. Census Report, and that number rises as high as two-thirds in large metropolitan areas, such as New York and Los Angeles. Given the steady demand for rental housing, it’s no wonder that individuals are investing in real estate, but there are several things property managers should know if they hope to make a profit. First, it is important that landlords screen all potential tenants to ensure they have reliable income and will pay bills on time. Once you have secured tenants, keeping them happy, while still running a successful business, is your primary goal. Maintaining a clear, written record of any exchanges you have with tenants will make it easy to track any problems. It’s also essential that all properties satisfy basic living conditions, such as adequate weatherproofing, and that they adhere to state regulations for safe electrical wiring and ventilation. Landlords are required to arrange for necessary repairs. It’s good to develop relationships with local contractors, so tenants remain satisfied, and the property stays in top shape. Property management is expensive, even with the supplemental income that rent provides, and many property managers lose a substantial amount of money each year by not taking advantages of available tax deductions. Insurance costs, repairs and independent contractor wages are all fully deductible but often go overlooked. A detailed record-keeping system is the best way for landlords to track their income and expenses, but many simply do not have the time. One way to address this issue is to hire a bookkeeping firm to take over bookkeeping duties. On Call Accountants (www.oncallaccountants.com) is one such company that specializes in outsourced accounting, financial reporting and consulting for small and mid-sized businesses. By handing this job over to the professionals, property managers can maximize profits with minimal headaches. For more information about On Call Accountants, visit www.oncallaccountants.com.